WA.PSI split compression seals consisting of two half shells to provide gas tight, water tight pipe penetrations. 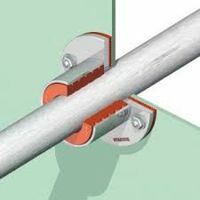 Designed to seal cables and pipes passing through walls, ceiling and bulkheads. Sealing materials may be: EDPM, NBR, Silicone, Viton. 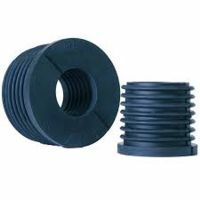 WA - PSI compression sealing plugs are applicable to the ship building industry, and are installed from both sides in a welded sleeve through a wall or deck. In ship building the high fire retardant rubber FS. Fire resistance of 60 minutes are used. Other fire resistant assemblies may also be added to provide more firewall protection. 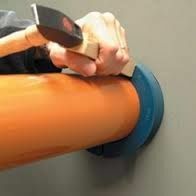 The plugs can be used in a core drilled hole, wall sleeves or pipe to pipe connections. The plug is pressured into the annular space at the wall opening. The plug can also be used in embedded pipe inlet wall sleeve assembles. pipe seals plug models. Materials, viton, edpm, NBR, FS fire safe elastomers. USA regions; Houston, TX,Washington, Colorado, Oregan, Montana, North Dakota, Michigan, Utah, Texas, Lafayette, Louisiana, New York, NY, St Petersburg, FL. Canadian Regions; Alberta, AB; Edmonton, Fort McMurray Calgary. British Colombia, BC; Kelowna, Vancouver, Prince Rupert, Kitimat. Saskatchewan, SK; Regina, Saskatoon, Prince Albert, Esrevan, Swift Current. Manitoba MB; Winnipeg, Thompson. Ontario, ON; Toronto, London, Ottawa, Hamilton, Quebec, QC; Montreal, Quebec City, Trois-Rieviers, Chebougamau, Sherbrooke. New Brunswick, NB, Saint John, Nova Scotia, Newfoundland Labrador, NL.